Growing up, we all heard it. Mom always told us to eat our vegetables. But, today and this weekend are great times to heed that advice. Today is National Eat Your Vegetables Day, which is the perfect time to indulge in those vegetables we all love to eat. Over the years, many of us have grown to love the broccoli, carrots, peas – and maybe even Brussels sprouts. As we all know, many local supermarkets have great produce sections. Some of them have even started to store locally-grown organic items. But, why not go directly to the source? 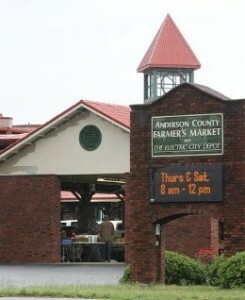 The Anderson County Farmers Market is the perfect place to buy and enjoy locally-grown food, and get recipes or a cooking suggestion or two. 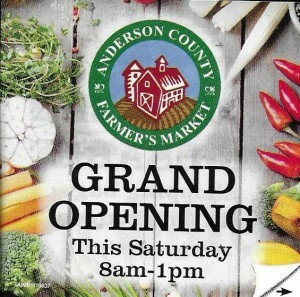 In fact, according to their Facebook page, the market will hold it’s grand opening for the summer tomorrow. Reusable shopping bags will be available, and there also will be activities for the kids including coloring and face-painting. It will be the perfect experience to have fun, and learn about local food and why it can help with your daily diet. The Powell Group invites you to come out and enjoy a day of food and fun with your entire family at the Anderson County Farmers Market. While there, you can also view many of the beautiful homes we have available in our area. Our team members are always here to answer all of your housing questions and concerns. What vegetable dishes will you conjure up in your kitchen?